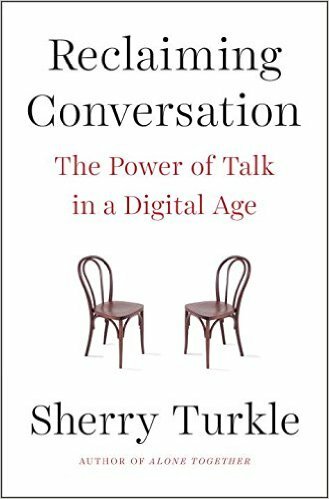 I listened to an interview of MIT Professor, Sherry Turkle, on her new book, Reclaiming Conversation: The Power of Talk in a Digital Age. She’s an expert on how technology affects us. 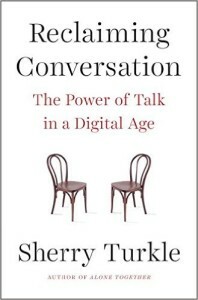 Put your mobile phone on the table when you’re with someone and it immediately destroys the possibility of deep conversation. Without even realizing it, everything gets superficial. Both of you will be ready to to scratch the near-addictive phone-checking itch. So you’ll never go deep as you know one of you will pick up their phone as a result. Author BilalPosted on 22nd October 2015 Categories Books, Parenting and Relationships, Technology, WisdomTags empathy, PhoneLeave a comment on Owned By Your Phone?